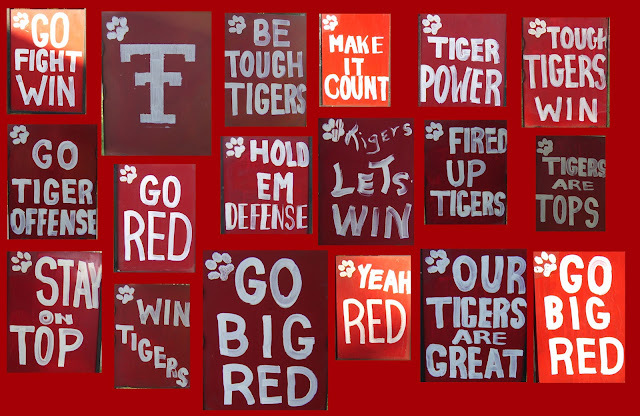 Terrell Tiger head football coach Kevin Wilson will lead the Tigers in tonight's home opener against Dallas Carter. Kick off is set for 7:30. These signs are posted in a yard in town on the road leading from the school to the stadium.